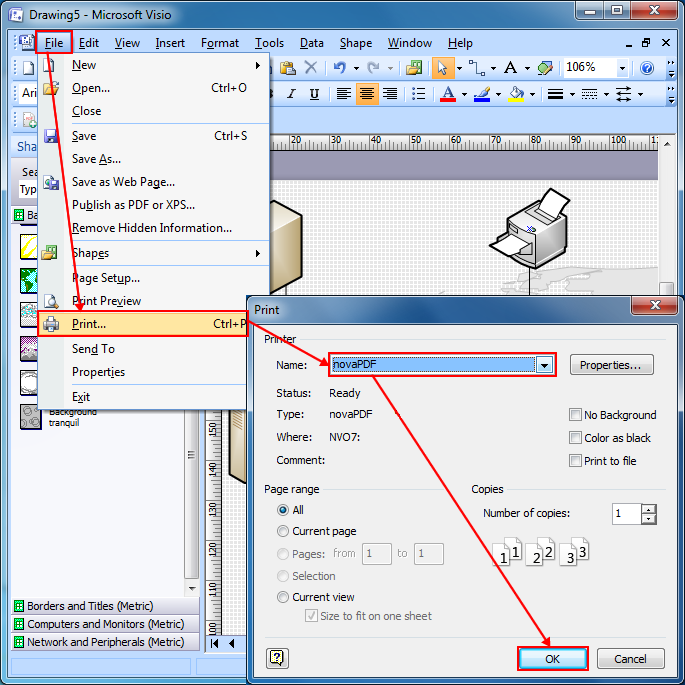 Microsoft Office Visio is a diagramming software used to create business and technical drawings. Once your diagram is finished, if you need to send it for review, physically printing or share it with your team, it's recommended that you convert it to a PDF. Document sharing is easier using PDF files, because the recipient does not need to have Visio installed in order to open the PDF (being also multi-platform, same PDF can be opened both on Windows and Mac powered systems) and by converting it the original design of the diagram remains unaltered. 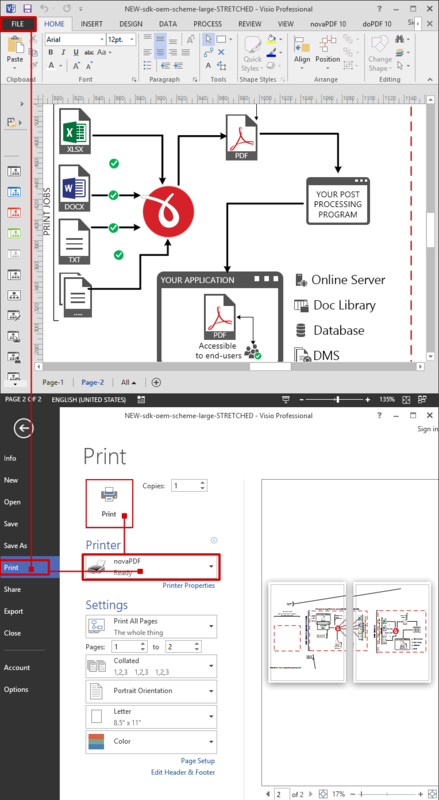 novaPDF is a PDF creator that once installed it offers an option to print your diagrams to PDF files - simply choose novaPDF as a printer and once you click the Print button your Visio diagram will be converted to a PDF. Click PRINT and choose a location where you want the PDF file saved. After the PDF is created it will be automatically opened in the default PDF viewer.